Five minutes from the Tomei Expressway ōi-Matsuda IC. It is easy to access from the Tokyo metropolitan area. About 58 km, 40 minutes from Tokyo IC. About 38 km, 25 minutes from Yokohama Machida IC. About 23 km, 15 minutes from Atsugi IC. MATSUDA town is about an hour on the Odakyu line from Tokyo. 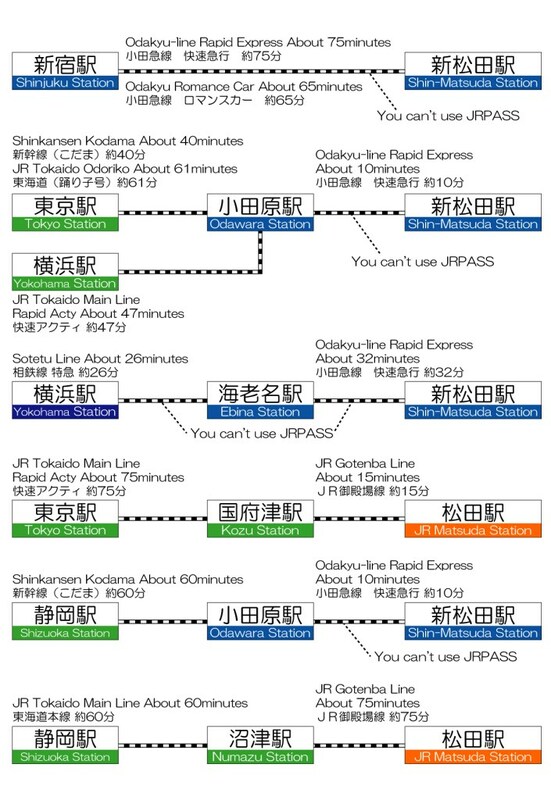 No transfer needed for passengers coming from Shinjuku. We recommend taking the ‘Odakyu Romance Car’.